Now that I settled down a bit after my rant about Godzilla (2014), I wanted to revisit my comparison of the MUTOs (sexually dimorphic insect-like creatures, with the male having bat-like wings and the female confined to terrestrial locomotion) to the Cloverfield monster (a deep sea creature). I’m using the McFarland toy as an analog. Here’s an artistic sketch by Pikmantaro based on the Bandai destruction pack toy. Screen capture of the male MUTO. The MUTOs have 8 legs, consistent with arachnids. 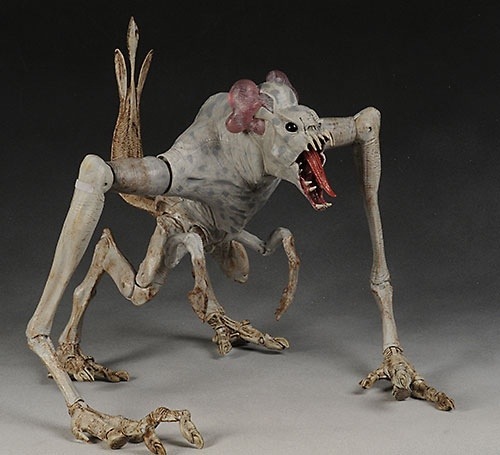 The Cloverfield Monster has 6 appendages and a tail. The MUTOs and the Cloverfield Monster both have shortened thoracic arms or claws. Both creatures have elongated legs. The Cloverfield Monster differs in having splayed feet, while the MUTOs have hoof like rear appendages and hooks. Both creatures are dull muted silvery gray color. The MUTOs are accented with bioluminescent patterns. The heads are distinctly different. The locomotion of the female MUTO and the Cloverfield Monster are similar, although the CM is more kinetic. The male MUTO flies and reminds me of one of Harryhausen’s harpies. This entry was posted on May 17, 2014 at 4:48 AM and is filed under Miscellania. You can follow any responses to this entry through the RSS 2.0 feed. You can leave a response, or trackback from your own site. I also saw the huge similarity to Clovie. SO strong a resemblance I wondered if it was almost more homage than rip-off. My theory is the M.U.T.O s are actually a subtle re-imagining of Gigan- Single red laser eye slit, hook arms, wings, beak- just less evolved maybe? 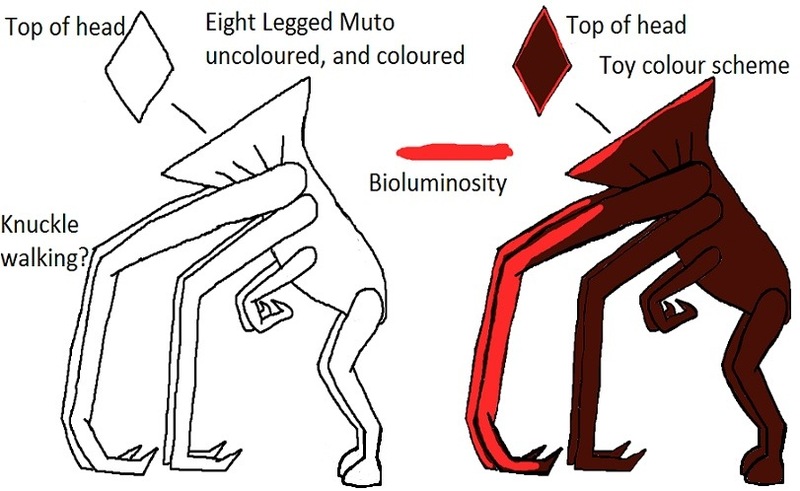 I feel like the M.U.T.O s are part of larger story and were not native to earth- but planted there to eliminate the original Kaiju so the primordial Earth could be colonized. Obviously, I was a big fan of the new Godzilla. It wasn’t perfect, but honestly is anything ever flawless? Edwards created a sense of wonder every time Godzilla was revealed, and I’m thankful it was handled more subtly. I look forward to the next one. BTW that Cloverfield action figure is from Hasbro not McFarlane toys. Yup. Hasbro. I stand corrected. Tx!